Netbook? No thanks. 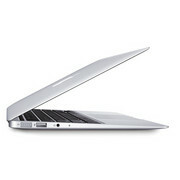 The smallest and cheapest notebook that Apple currently has to offer is called the MacBook Air 11. It weighs in at less than a kilogram and is just 1.7 cm at its thickest point. On the outside: an aluminium unibody case. On the inside: a Sandy Bridge CPU which along with the SSD delivers superior performance. A very good laptop, uprated with the latest Intel processors, and also Apple's 10Gbit/s Thunderbolt connectivity. There are few Thunderbolt-enabled devices around, but expect more in 2012. The lack of USB 3.0 connectivity is a point against the MacBook Air and the price could cause a sharp increase in blood pressure. When's all said and done, to my surprise – my expectations being set by years of Mean Santa withholding features – it's an absolutely outstanding piece of kit. Design and execution are so professional that it's the sort of review where you start with 100 per cent, and knock off the odd one here and there. The overall experience is superb, and while the smallest Apple MacBook Air comes at a cost, it is a real advance in user expectations of how much a computer should weigh and what it should do. 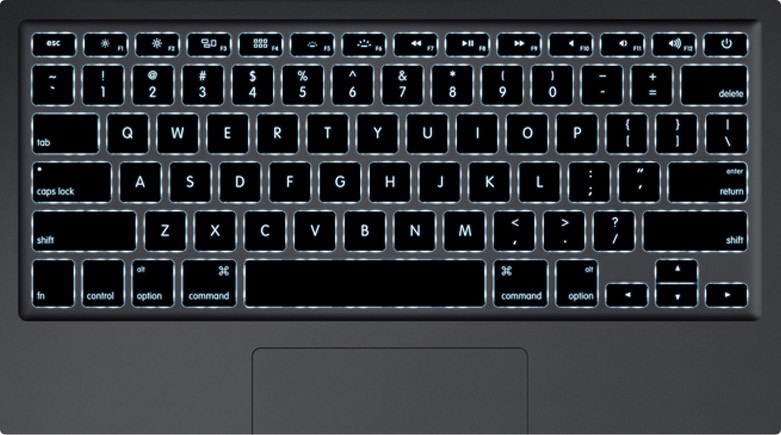 Seeking a lighter, sleeker, more attractive business laptop? The Macbook Air was never quite powerful enough to fill that niche. Until now. Apple has transformed its dizzy eye-candy into a serious machine. 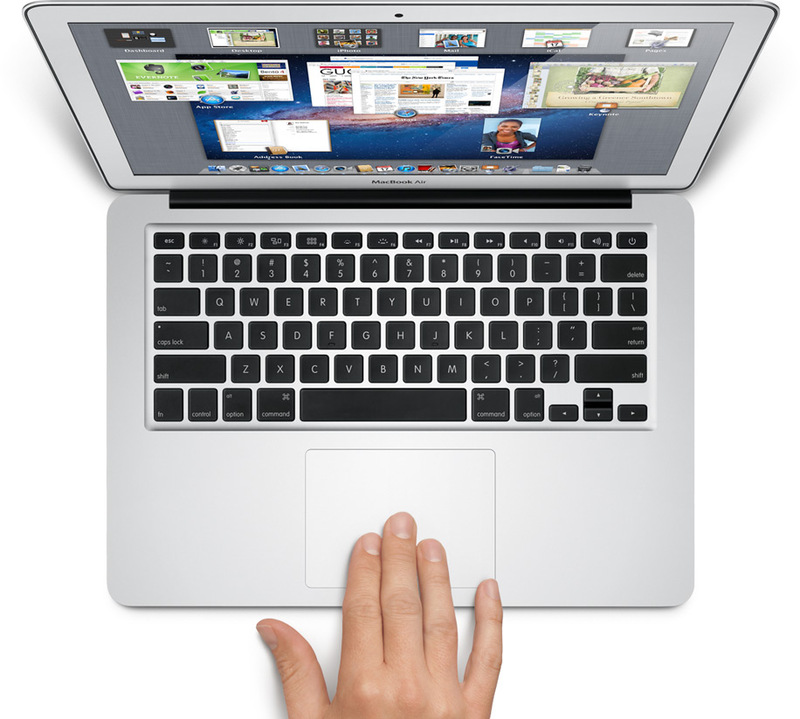 Overall the 2011 Macbook Air is quick and efficient, it’s smaller, lighter, and though not a lot quieter, it’s a magnificent upgrade from last year’s version. When the new 13-inch MacBook Air arrived on our messy desks, we were blown away by its razor-thin good looks and equally impressed by its powerful interiors. 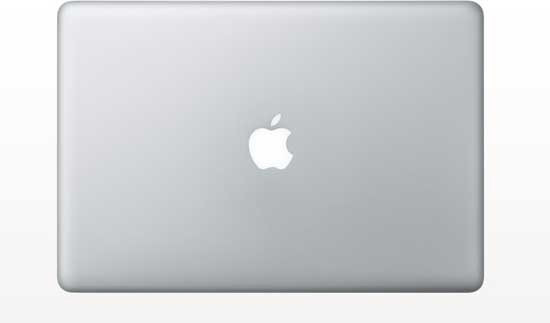 Apple's latest iteration of the 11-inch MacBook air packs excellent performance inside a razor-thin body. Its high price and sparse port selection means it won't appeal to everyone though. If you're buying the high-end ($1199) 11-inch MacBook Air and care about performance, the 1.8GHz CPU upgrade is worth it. You shouldn't expect any real impact on battery life in normal use but you'll see a noticeable gain in performance across the board. Subjectively the CPU upgrade does make the system snappier, easily faster than the base 13-inch MacBook Air. Over the years we’ve tirelessly sought after the ultimate marriage of portability and power. 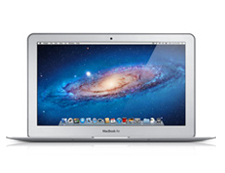 Apple’s first MacBook Air was just too weedy and too expensive. Asus never quite managed to deliver with its low price, tiny Eee PCs, in truth because Intel’s Atom processors were just a false economy. MSI’s X-Slim range were as flimsy as they were thin.